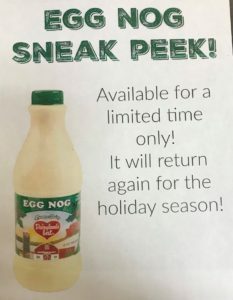 Pumpkin Spice Egg Nog & Soft Serve Available For A Limited Time! Pumpkin Spice Egg Nog & Soft Serve Available Now • while supplies last! Stop in Lamers Country Store for Unique Gift Ideas! Jacob Lamers, Sr. started Lamers Dairy in 1913 in the village of Kimberly, Wisconsin, and it is still family owned and operated to this day. In 1913 raw milk was distributed to the villagers in preserve cans which were delivered to customers as members of the family went to school in the morning. The following year, the Lamers family began using a horse and buggy as the milk cart. In 1919 the first truck was purchased. The first milk bottles imprinted with the Lamers name were introduced in 1931 and the first mechanical refrigeration in the village was installed in 1932. Hand-operated milk bottling gave way to automatic equipment and just a year later the Lamers family installed equipment to pastueurize milk. 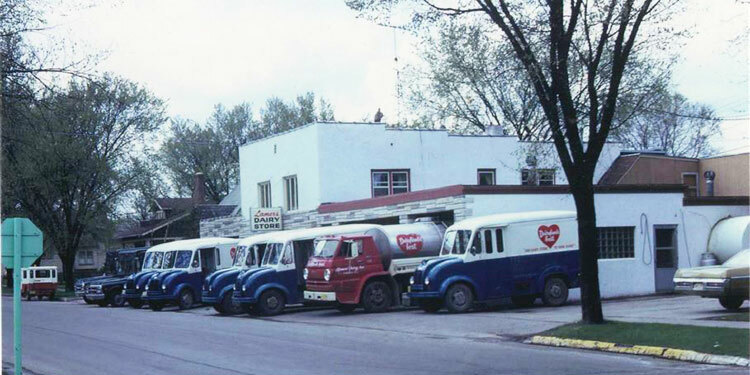 In 1941, Lamers Dairy introduced homogenized milk to the village and also doubled the size of their building. In 1950, the building was expanded again and a laboratory was installed for quality testing of all dairy products. 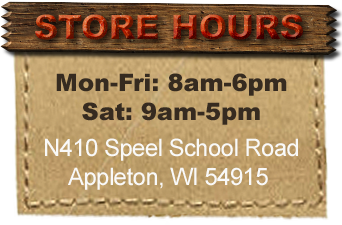 In 1998, the business was moved to the current location on Speel School Road in Appleton, Wisconsin. Today five of the Lamers children are actively involved in the business. Two of the next generation work full-time for Lamers Dairy and four work part-time while attending high school and college. 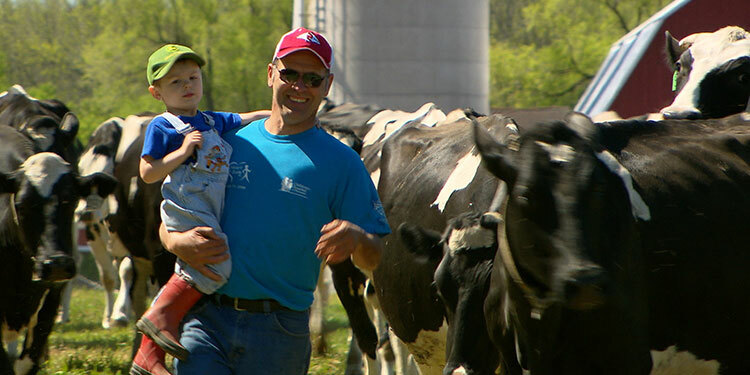 June is Dairy Month at Lamers Dairy! We’ll be celebrating in our Lamers Dairy store with our annual “Cones for a Cause” promotion to benefit St. Joseph Food Program. All month long our delicious soft serve cones, made with our award-winning rBGH-free milk and cream from small local family farms, will be just 50 cents, with the proceeds going to St. Joseph Food Program to help local families in need. St. Joseph Program touches the lives of 5000 individuals each week providing them with food and hope. Learn more about them at stjoesfoodprogram.org. Monday through Friday come watch us bottle our award-winning Lamers Dairy Dairyland’s Best milk through a 30 foot observation window. Best viewing times are Monday 8am-1 pm, Tuesday 8am-10am, Wednesday 11am-2pm, Thursday 8am-1pm and Friday 8am-12 pm. Don’t forget to look up above it to see the 30 foot mural of our more than 100 year history painted by local artist Sheri Jo Posselt. Join us on Thursday, June 14, for a family-friendly, fun and educational event we call June Dairy Day. 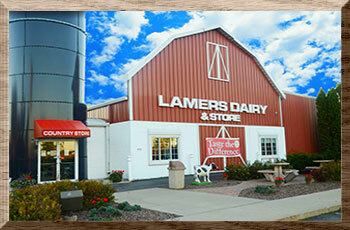 Addie the Cow, a life-size fiberglass cow that children can “milk” will be at Lamers Dairy from 11 am – 6pm. She will be accompanied by our favorite, friendly and knowledgeable dairy educator Marlene Kammann and lots of interactive displays. 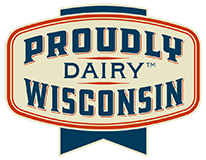 Learn about cows, milk and Wisconsin’s dairy industry. Do you know how much water a cow drinks each day? From 3:30 pm to 4:30 pm, Fang, the mascot of the Wisconsin Timber Rattlers will be here to mingle and pose for photos. He’ll bring the Lamers Dairy mini Divco milk truck that you see in the Speedway Race during Timber Rattler home games. It a replica of the Divco milk trucks the Lamers brothers drove in the 70’s and was made from the actual mold from the Divco company. Hop in for another great photo op. 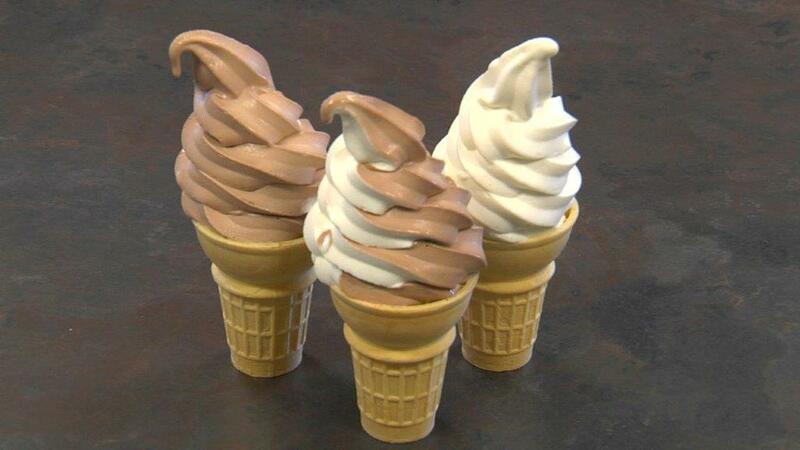 While you’re here be sure to have one of our delicious 50 cent soft-serve cones to benefit St. Joseph Food Program. In addition to 50 cent cones all month long, we have some other specials in our dairy store. All eight varieties of Lamers Dairy brand cheese, in one pound and 8 oz. sizes, are 20% off during June. Half-gallons of our award-winning chocolate milk and 1 % chocolate milk, in returnable glass or plastic jugs, are just $1.50 (the usual deposit on glass applies). Friday Fresh Cheese Curd Special – 12 oz. bags of fresh curds will be just $2.99 (Reg. $4.65) on Fridays. They come in around 11 am.